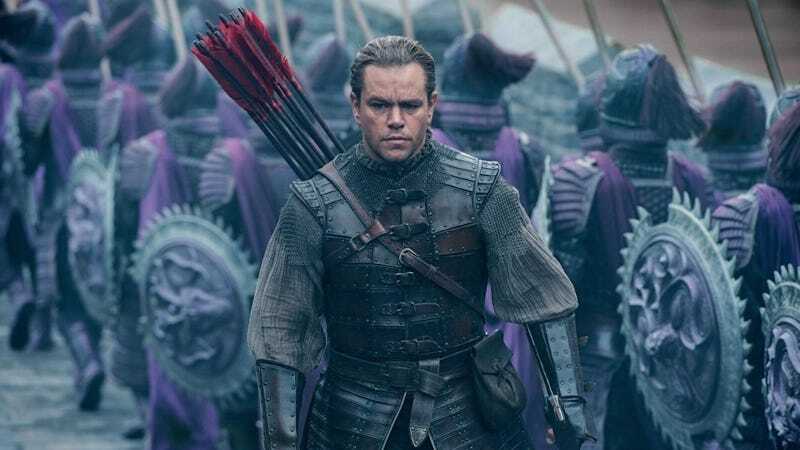 When the teaser trailer for director Zhang Yimou’s new movie The Great Wall was released in late July, it stirred the controversy pot into a frothy boil that has spilled over onto Matt Damon’s complacency. Hollywood whitewashing has been called out frequently in the last several years, especially since it continues to happen. Damon is featured as the main player in the trailer, though it is a story about Chinese warriors defending the Great Wall against monsters. In China. Damon questioned whether the critical stories on online news sites based on “a 30-second teaser trailer” would have existed before the era of fake news and headlines designed to make people click on them. “It suddenly becomes a story because people click on it, versus the traditional ways that a story would get vetted before it would get to that point,” said the star of the “Bourne” franchise. People fall for outrageous headlines, but “eventually you stop clicking on some of those more outrageous things because you just realize there is nothing to the story when you get to it,” Damon said. Matt Damon is not playing a role that was originally conceived for a Chinese actor. The arrival of his character in our story is an important plot point. There are five major heroes in our story and he is one of them — the other four are all Chinese. The collective struggle and sacrifice of these heroes are the emotional heart of our film. As the director of over 20 Chinese language films and the Beijing Olympics, I have not and will not cast a film in a way that was untrue to my artistic vision. I hope when everyone sees the film and is armed with the facts they will agree. Who Would Be the Worst White Mulan?